Squash House Quilts: Remember Summer? I sure do! It has been so cold in our neck of the woods! The past week has barely gotten above 20 degrees! 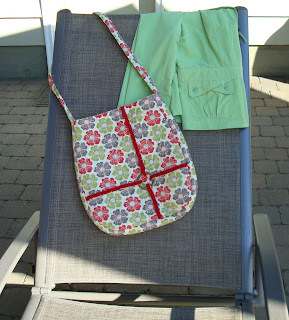 So I was happy to be able to show you my latest "Supreme Sewing Gig" for Stephanie over at Loft Creations! These pictures were obviously taken in much warmer weather and they make me warm up a tad just looking at them! Stephanie's newest creation is the Loft Tote! I love that she gives me free reign to test these beauties in any fabric of my choice! See the red strips that converge on the silver ring? This is a new product called Chenille-It Blooming Bias, which comes in lots of fun colors. I have been dying to try and I love it! The pattern did not call for using Chenille-It, rather it calls for the strips to be made out of contrasting fabric and attached to the ring. It was my decision to go ahead and try placing two layers of the blooming bias on top of the fabric strips -- and it worked! 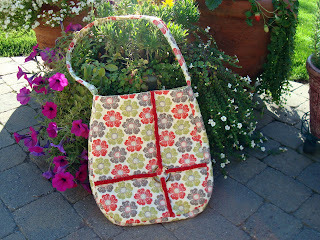 I had a lot of fun making this bag - it goes together in no time at all and is very functional. If you want to make it as well, the pattern is now available on Stephanie's Etsy site! Looks great, Candace. I have always liked Stephanie's patterns. When I saw this one on Stephanie's blog, I had to have it - immediately. I like it "that much". I'm so happy you're a Supreme. It's always fun to see what creative version you come up with. Thank you Candace. 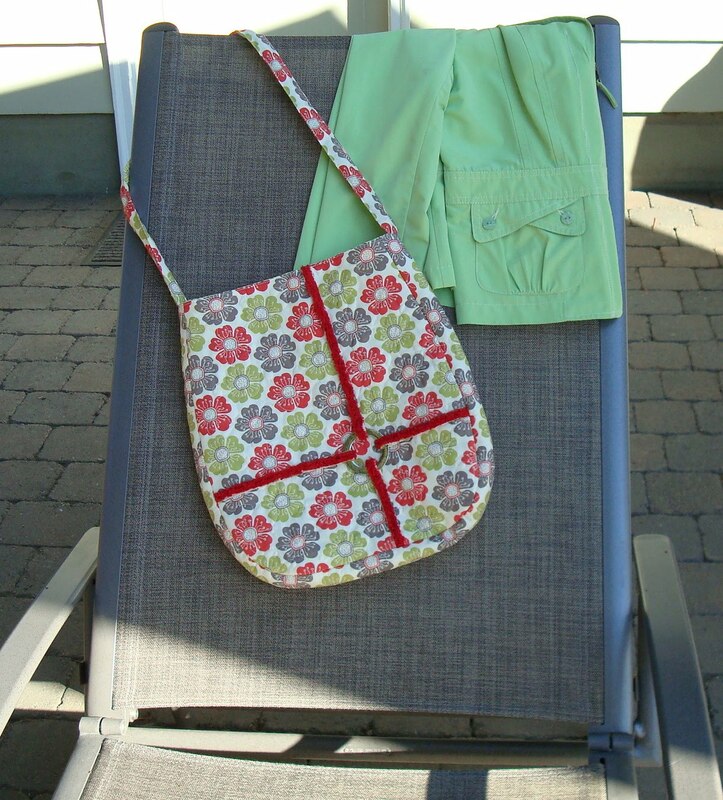 The Loft Tote is so cute AND stylish! Oh and I so love the chenille! That was an excellent choice, Candace! Love it!! Your version of the bag looks very cheerful, and the red strips look so soft I would like to touch them! Stephanie's bags are always very clever. Just saw your bag on Stephanie's blog. Very cute and I like the idea of using the chenille. Cute bag, thanks for sharing!! Great stunt sewing there, Candace! It sure does look like summer. That bag appears to be able to hold a lot of stuff! Cute bag! I had a hawk in our back pasture today and could not figure out what he was wrestling with...When he flew off his mouth looked empty! Have tons of fun at Buggy Barn. You can get in a lot of trouble there..so much to see..travel safe. We are heading over to Spokane at the end of the month to see our grand daughter before her second semester starts..